Another Thursday has come and gone, which means one more marathon 12 hour school day has passed. Only another what, 5 or 6 weeks to go? Can you believe the semester is going by that fast?! I actually was able to leave class early again today. We were doing group work on our projects at the end, and since 5 of the 7 people in my group had a big biology midterm starting at 7 pm, they all took off early. Kinda hard to do group work with no group there. So I stayed for a little bit, then took off for the ever enjoyable transit ride home. I got to listen to a guy talk on his cell phone about how he "sort of won his court case today, because he got bail" Oh public transit, how I love thee. 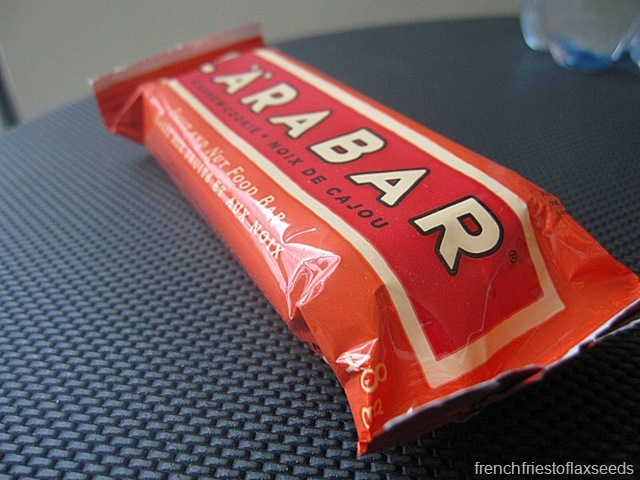 And a cashew cookie Larabar. When my dad picked me up from the train, he said "We’re having hotdogs for dinner. Do you eat those?" I had to laugh. If that’s what’s for dinner, I’m not that picky. 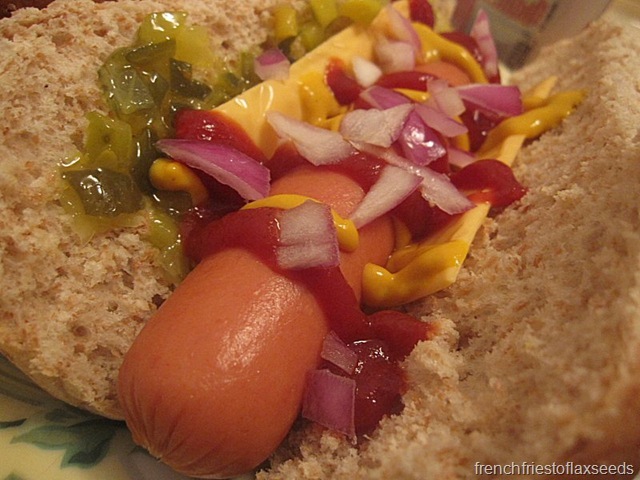 Plus hotdogs sounded good – I enjoy me a good dog every once in awhile. 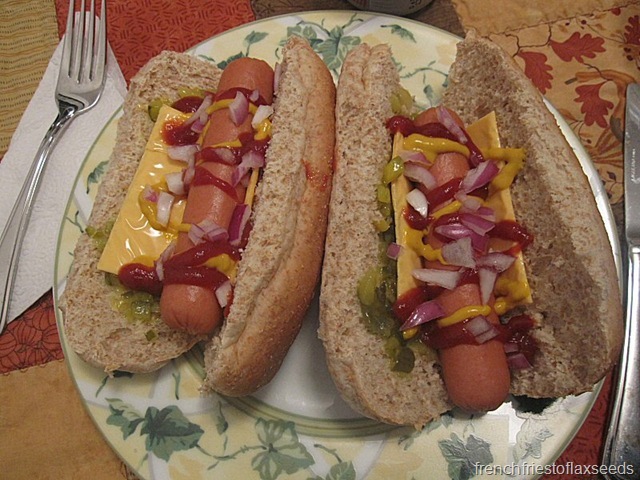 I had two all-beef, high quality dogs with plastic cheese, dill pickle relish, ketchup, mustard, and red onion. Nom nom! So other than the plastic cheese, which I only used because I was too lazy to get out real cheese & the grater, I think it’s a pretty decent hot dog on the hot dog scale of nutrition. And if you enjoy, isn’t that really what counts? Plus they were filling enough, that I had no desire for an evening snack. Hurray for hotdogs! The rest of the evening was spent with the computer, tv, and yoga mat for some ab work. Now this girl should get to bed – early morning wake up call! Night! I can’t believe how quickly the semester is going by! I don’t have any marathon days like you do (it’s pretty spread out), but when I did have days like that I would count down until the end of the semester by how many “long days” were left! I love the picture of your kitty in the last post. They really do have it made! You term is flying by! WOW! I love American cheese! And Hot dogs. And purple onions. 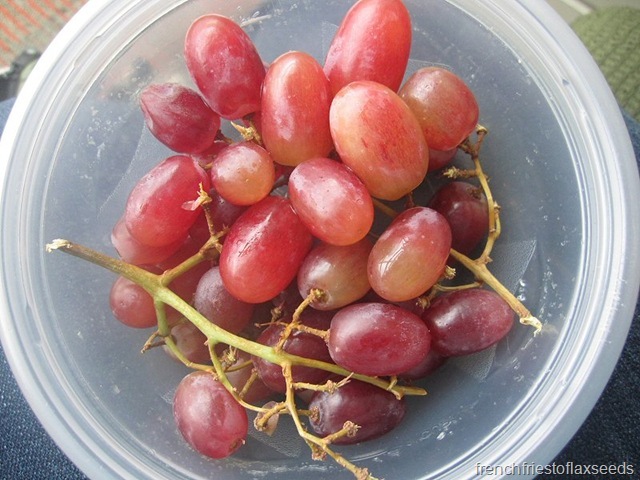 if i counted on my hands the number of times someone asked me “do you eat those” i would be a millionaire! tehehe! i love a good hot dog every once in a while!